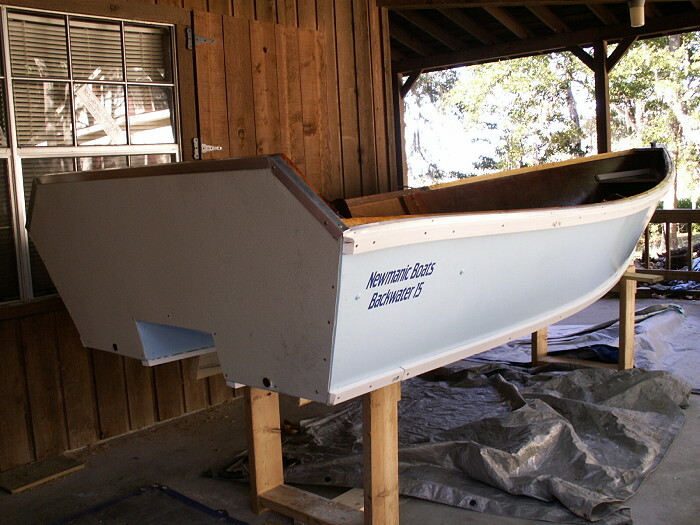 The following photos represent a 99% complete skiff, which I modified to a 15' pocket tunnel hull for power use. 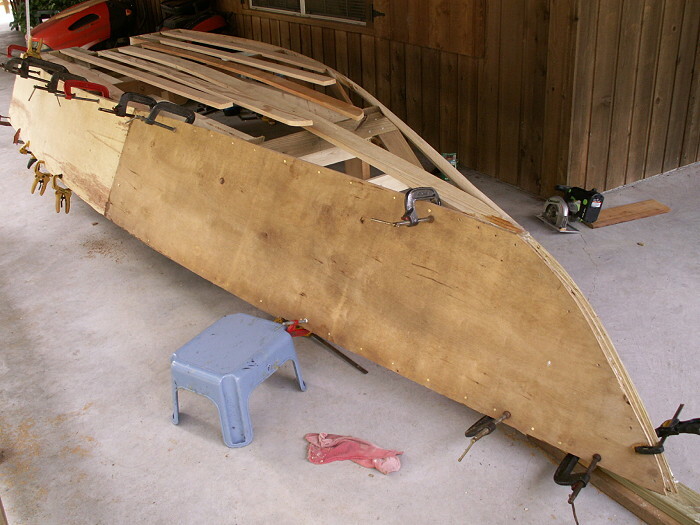 I used fir plywood, epoxy fiberglass and fir battens. 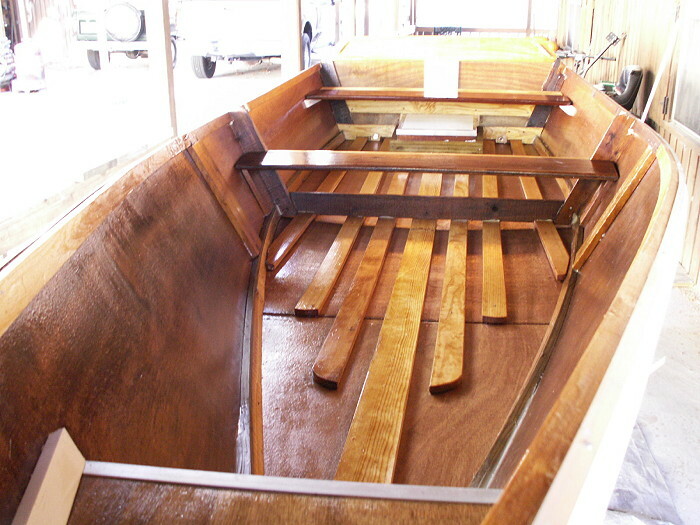 The seats are mahogany, and as you can see from the photos, the interior is a natural finish. 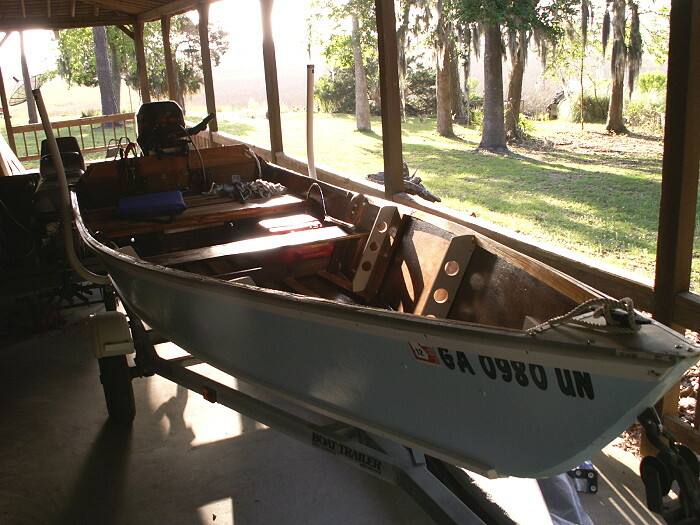 I have another project which is a 34', NC bow flare, express sportsfishing boat. 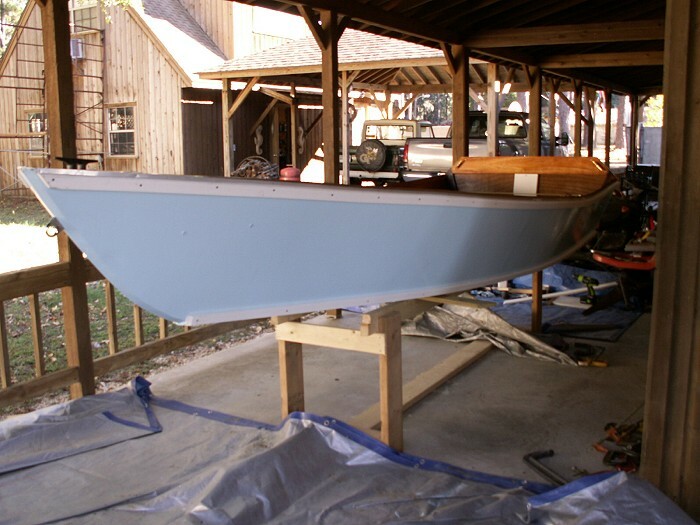 I designed this boat myself and have been the sole builder for the past seven years. 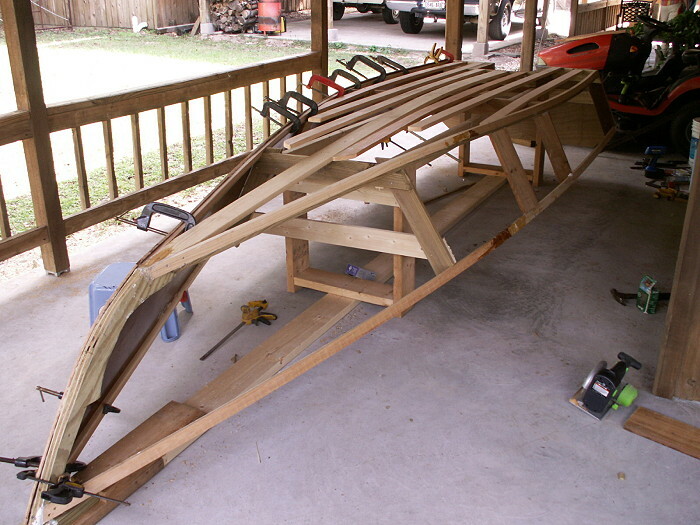 It is about 75-80 % complete and should be done in a year or two. 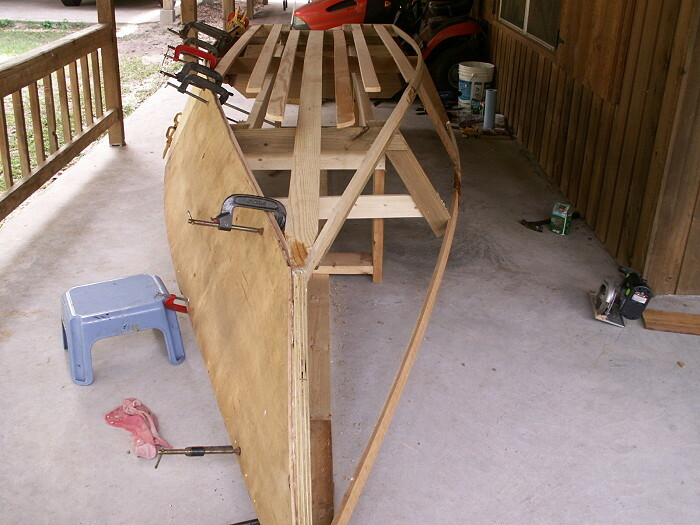 The skiff was a fast build in comparison to the large boat project which involves much more work. So, I really enjoyed completion of it in a couple of weeks, notwithstanding rainy, wet weather and cool weather. 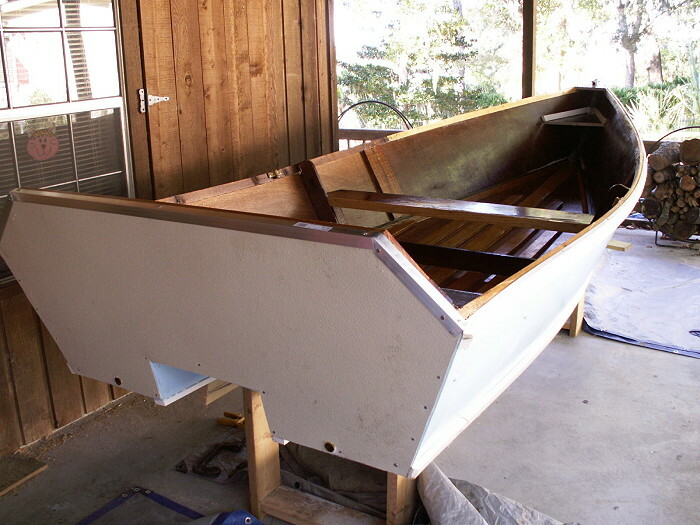 I used a single layer of biaxle on the bottom, with epoxy coating on the sides and interior. 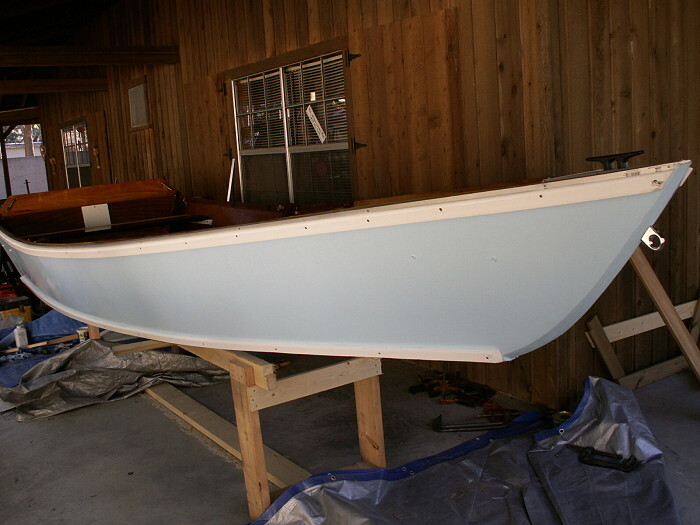 The pale blue finish on the sides is Interlux. 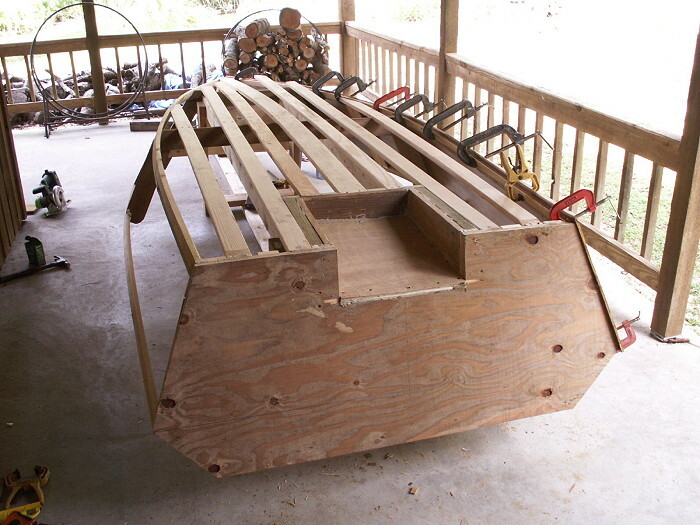 The interior is natural cedar, fir and select pine. The sheer and chine rails are a contrasting white composite.